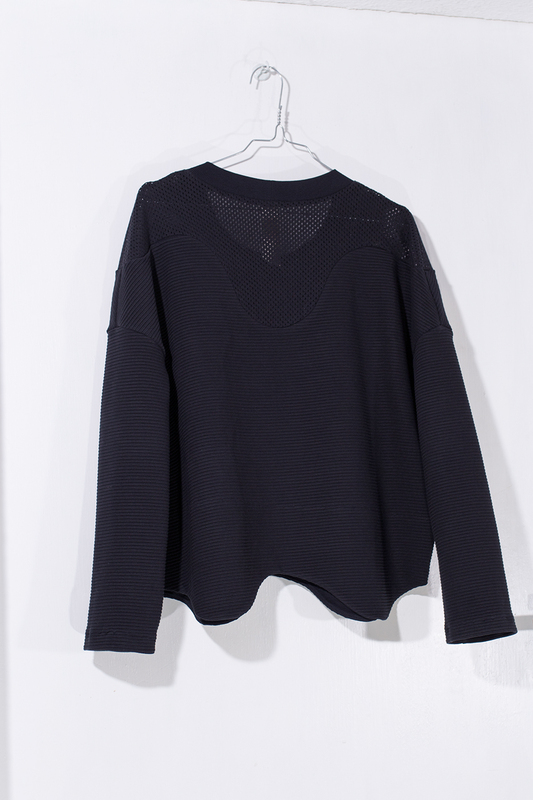 Black version of the flame box sweater with mesh and hemline in wave shape. Black ribbed interlock in 99% cotton, 1% elastane, mesh and jersey for lining in 100% cotton from Lebenskleidung. All fabrics are GOTS certified organic cotton. The thread is natural lyocell. 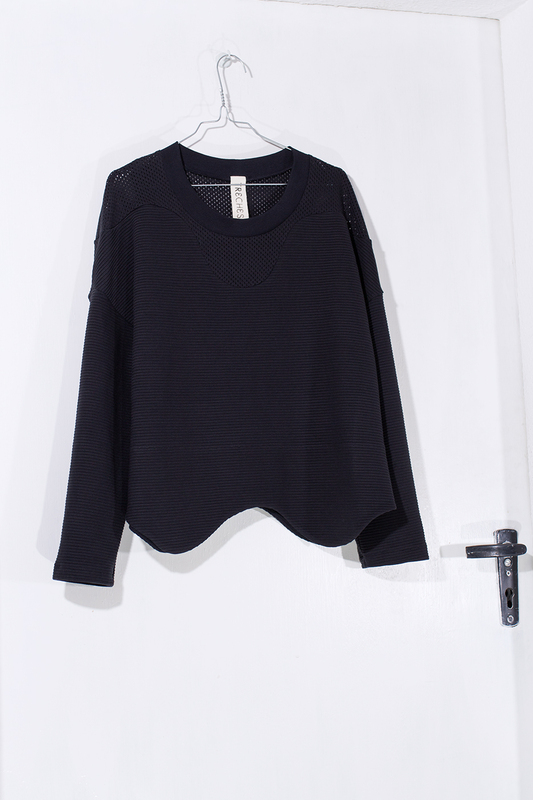 Oversize sweater with drop shoulders and see-through mesh fabric around the neck and shoulders. Wave-shaped hem lined with jersey. Made in heavy ribbed interlock fabric.